The ArcGIS Book: 10 Big Ideas about Applying The Science of Where gives you all the information, data, and lessons you need to get started with web GIS. 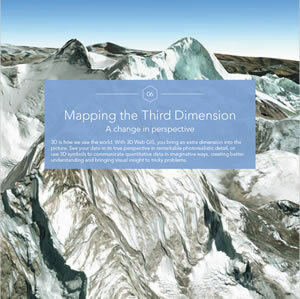 A new book from Esri gives you the know-how and the hands-on experience to practice The Science of Where. 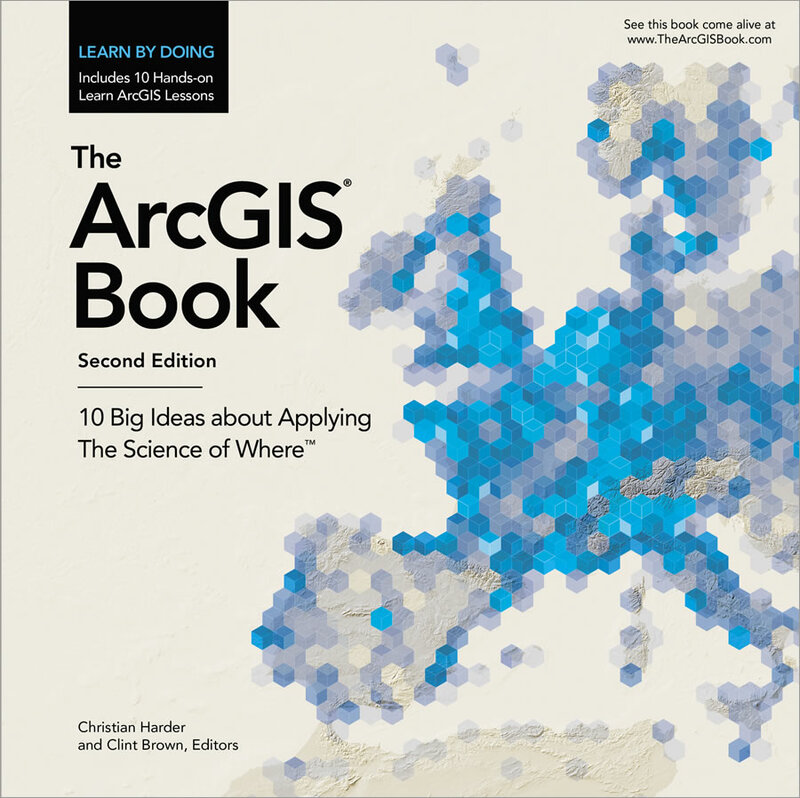 The ArcGIS Book: 10 Big Ideas about Applying The Science of Where, Second Edition, and its companion website offer all the information and interactive educational resources you need to dive in and start using web GIS to create maps, work with apps, create and use authoritative data, do spatial analysis and much more. 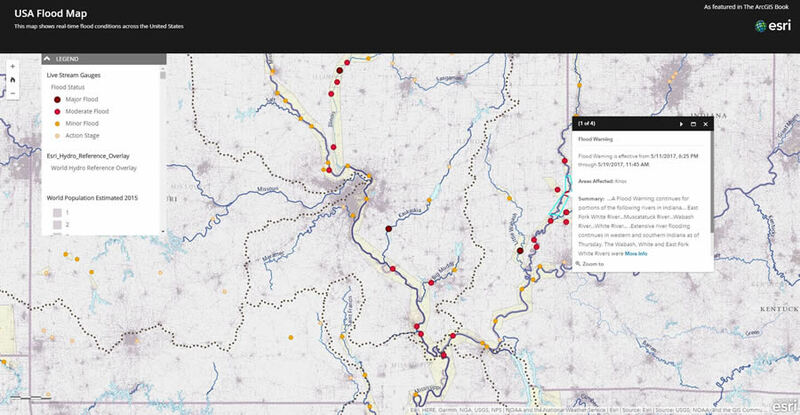 With web GIS, you apply the where factor to get deeper insight from your data. "What is The Science of Where? Easily stated, it's the science of geography and the tech of GIS brought together—computational geography," Esri president Jack Dangermond said earlier this year in introducing the concept. "The Science of Where transforms the world by unlocking the full potential of data within organizations everywhere." Now available as an interactive PDF and online at TheArcGISBook.com and as a print edition in August, the book explains how to use Esri's ArcGIS platform to manage and analyze data and then visualize and share that information in maps to get valuable location-based insight. Chapters cover web mapping, ready-to-use apps, story maps, 3D GIS, spatial analysis, imagery, the Internet of Things (IoT), and curated content from the Living Atlas of the World. Thought leadership authors include Lawrie Jordan, Esri director of imagery and remote sensing, and Richard Saul Wurman, the architect and graphic designer who founded the TED conference. 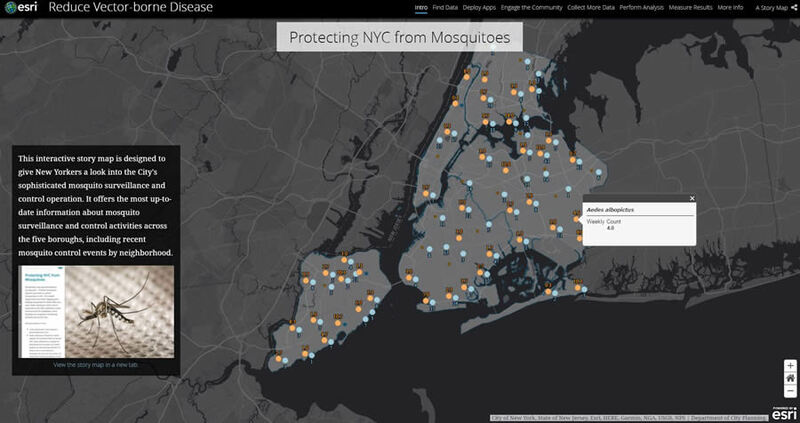 Readers will see many examples of Esri Story Map apps like this one about mosquito control in New York City. The ArcGIS Book isn't just something people read, however. It's something they do, too, with the companion website and interactive PDF providing 10 Learn ArcGIS lessons and links to 250 online maps and apps from Esri and the worldwide ArcGIS user community, software downloads, videos, case studies, story maps, e-books, open data sites, the Living Atlas of the World, and many other electronic learning resources. 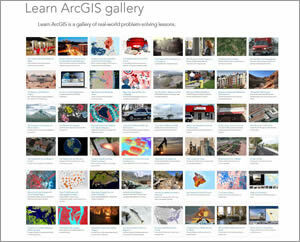 Readers also have access to membership in the Learn ArcGIS Organization, a virtual GIS computer lab that includes the software and data required to complete the lessons. "It's a multimedia experience," said Christian Harder, the writer at Esri who coedited the book with Clint Brown, Esri director of product engineering. "Every graphic and image in the electronic versions of the book come to life in the interactive versions. This makes it an excellent starting point for people to learn about GIS or communicate to their friends and colleagues what GIS is all about." You can, for example, click on one map to see how spatial analysis is used to study traffic accidents, or click on another one showing drought conditions in the American Southwest. Or you can compare 3D development scenarios in urban areas such as Portland, Oregon, or learn how the Swiss actively monitor dangerous avalanche conditions. 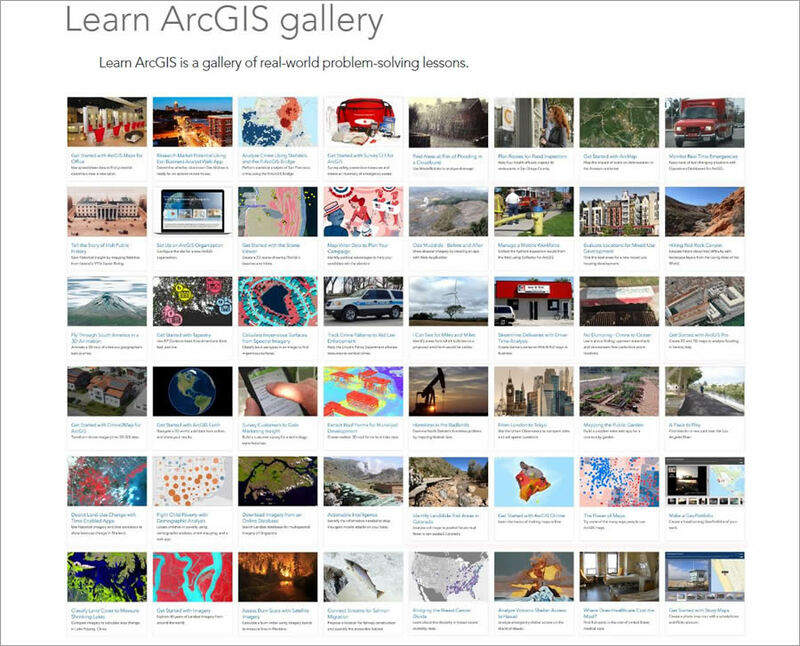 The Learn ArcGIS lessons correspond with the 10 big ideas about applying The Science of Where. You will learn cartographic design techniques, conduct a demographic analysis, create a 3D web scene, and more. The spatial analysis lesson walks you through how to use ArcGIS Pro, the ArcGIS Spatial Analyst extension, and Living Atlas of the World content to create a map of wildlife corridors for cougars trying to survive in the highly urbanized Los Angeles, California, area. 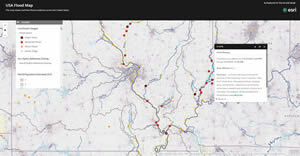 "Many of the lessons included in the book pull Living Atlas of the World data into the maps you create," Harder said. "Many of the activities don't even require a login—you just start clicking things, and they come to life as GIS apps." Harder said that the new edition of The ArcGIS Book is geared toward three basic audiences: current ArcGIS users who want to do more work in the Web GIS realm by using ArcGIS Online and ArcGIS Pro; web-savvy professionals who work in fields such as business, education, and science and who are interested in analyzing and visualizing their work-related data geographically; and people who understand the importance of geography and might want to use web GIS for projects that matter to them personally. 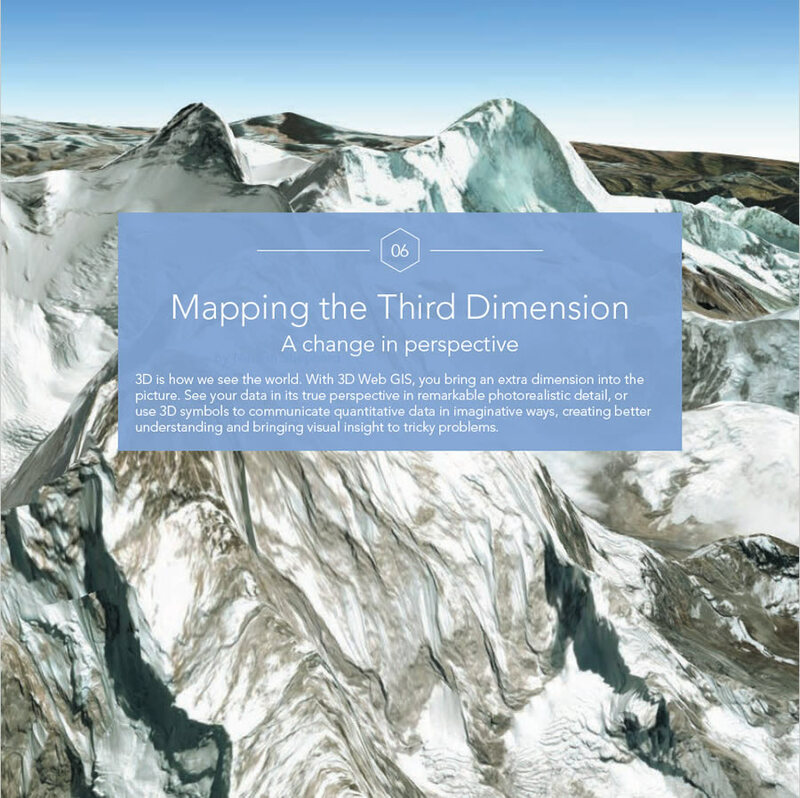 One chapter is devoted to 3D web GIS. The book incorporates Learn ArcGIS lessons that cover a wide range of topics. "If you stop and consider it, it's hard to name a problem or issue that does not have a geographic dimension," he said. "You can't really talk about a political issue, natural disaster, or environmental concern without realizing the critical nature of where these things are happening." The print version of The ArcGIS Book: 10 Big Ideas about Applying The Science of Where (ISBN: 9781589484870) was first released at the 2017 Esri User Conference in San Diego, California, in July, and will be more widely available in August through Amazon and other online retail outlets.